All the mouthwatering flavors and nutrients of our original sprouted hummus, elevated with nutrient dense kale, and chia. Majestic Kale Chia hummus adds a unique texture and flavor to every bite. 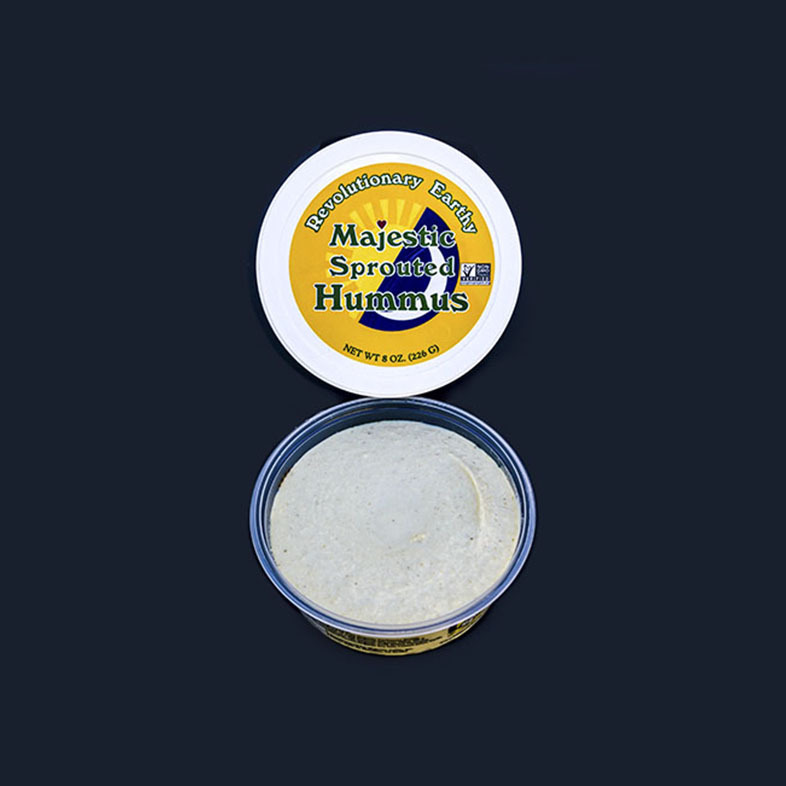 Perfect as a dip for chips and veggies, or spread over your favorite gluten-free crackers, or toast. 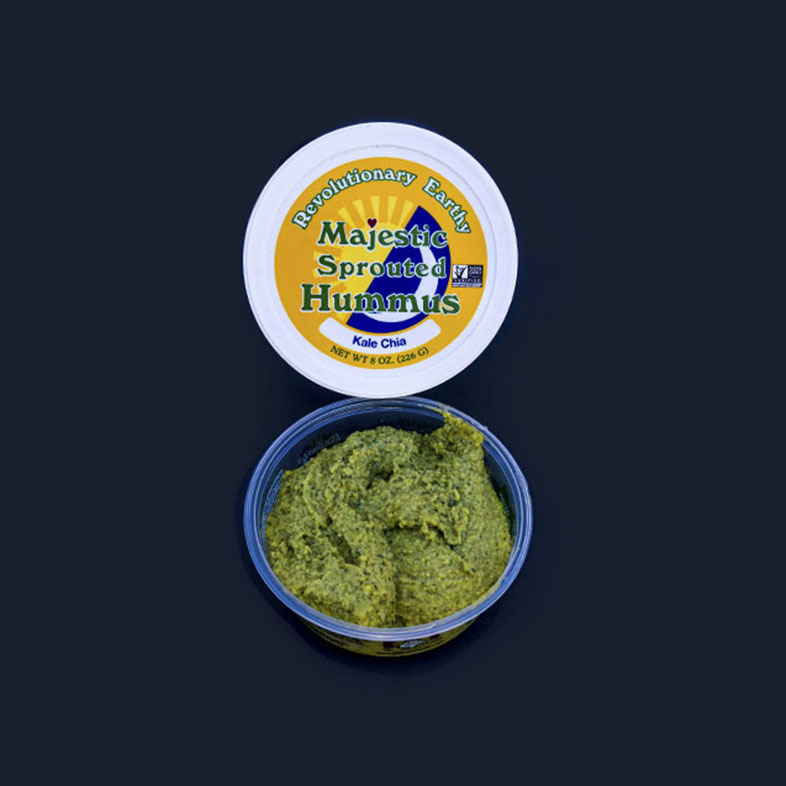 Majestic Hummus is made from 100% USA organic fresh raw sprouted garbanzo beans, organic cold-pressed olive oil, organic safflower oil, organic cold milled flaxseed, organic garlic, organic sea salt, milled cumin, and fresh lemon juice in our Kale Chia Hummus.